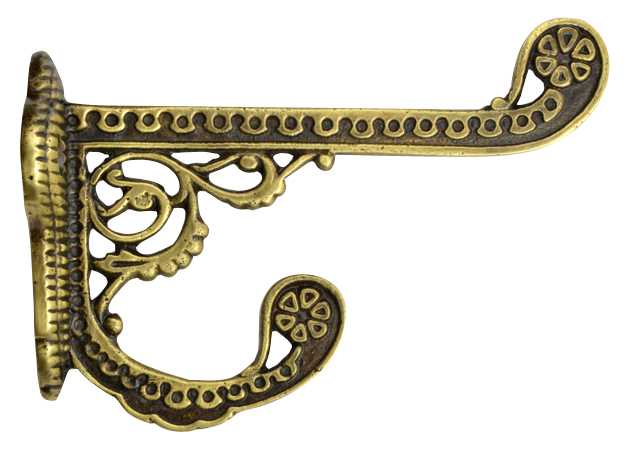 This lavish Victorian style hook is finished in antique brass and constructed from solid cast brass. Measures 4 7/8 inches long and 2 1/2 inches tall. Mounts with 2 brass screws (included). Highly detailed.